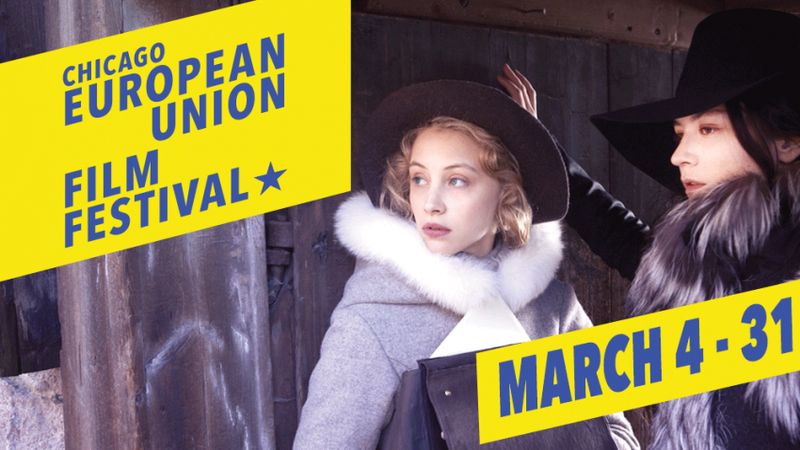 Every March, the Gene Siskel Film Center programs one of the most daunting film festivals in Chicago, blocking out the entire month to deliver dozens of current film from the European Union. This year there’s 62 features from 24 nations, playing from March 4th through 31st. Not only is it daunting for the theater’s programmers, but even moreso for the film critics and enthusiasts who are trying to catch each scheduled film. Indeed, that’s a highly improbable task, but with such a wide variety of usually fine films, it’s worth a shot. The festival kicks off with opening night film “The Paradise Suite”, which is like a Dutch version of Paul Haggis’ “Crash” and will close with an animated feature “Phantom Boy” from France/Belgium. I’ll be offering capsule reviews of films from the festival as I see them and will post them soon after. Here’s what I’ve seen so far…. written & directed by Joost van Dinkel/123 min. This drama set in modern-day Amsterdam follows five different complex and serious storylines involving characters that eventually merge. Bulgarian teen, Jenya (Anjela Nedyalkova), thought she was getting into modeling but is forced into prostitution; noble African immigrant, Yaya (Isaka Sawadogo) is forced to betray his faith in order to help those in need; Serbian war criminal, Ivica (Boris Isakovic), a new father, cannot escape his past as grief-stricken Bosnian Seka (Jasna Đuričić), learns of his whereabouts; and Swedish piano child prodigy, Lukas (Erik Adelöw), must deal with bullying from his peers and his controlling composer father, Stig (Magnus Krepper), causing him to run away from their temporary home. About three of these stories are compelling on their own, offering affective performances from their leads, but the others feel slight, while all of them probably would’ve benefited from their own stand-alone feature. Not enough time can be given to delve into tender subjects such as human trafficking and bullying in this mosaic to really offer anything new or unique and having many of these characters converge just seems too obvious and convenient. “The Paradise Suite” was the Dutch entry for the Best Foreign Language Film at the 88th Academy Awards, but didn’t make the cut. March 4th & March 5th (Issaka Sawadogo will be present for audience discussion during both screenings and immediately following the Friday showing, the audience is invited to a reception in our Gallery/Café. written & directed by Garrett Barett/93 min. written by Jaroslav Žváček and directed by Jan Prušinovský/111 min. written by Mark O’Halloran and directed by Paddy Breathnach/100 min. It’s strange to find two Irish talents – a writer and a director – at the helm of a Spanish-speaking drama set in modern-day Havana, Cuba, but this touching and powerful film is in good hands. The story follows Jesus (fine work from newcomer, Héctor Medina) a young gay man, living in the Havana slums as a hairdresser, whose friends are mostly show-lounge divas, the foul-mouthed elderly woman whose hair he cuts and her feisty granddaughter. It sounds like a comedy right there, but when his estranged father, a volatile ex-con and former-boxer, Angel (Jorge Perugorría, “Che”), shows up, Jesus’ life is upended when he must figure out what to make of the father he never knew and what direction his own life should go. “Viva” was selected last year as the Irish entry for the Best Foreign Language Film at the 88th Academy Awards, but was not selected. That’s a shame, but I hope this great, poignant film, executive-produced by Benecio del Toro, finds an audience. This moving and surprising film is supported by great performances from Luis Alberto Garcia, Renata (Maikel Machin Blanco), Laura Aleman and Paula Ali. March 13th & 14th. Screenwriter Mark O’Halloran (“Adam & Paul” and “Garage”), will be present for audience discussion at both screenings. The 6:00 pm screening on Monday is a Movie Club event. More will be posted as other selections from the festival are viewed. Tickets can be purchased here.